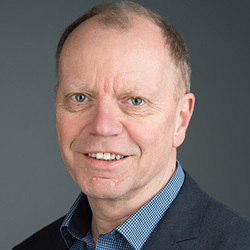 Ian Schofield has been writing on issues affecting the pharmaceutical and biotech industry since the mid-1980s, specialising in EU and global policy and regulatory affairs. As well as writing, editing and commissioning articles for Pharma Intelligence, Ian works for the Ask the Analyst service, providing tailor-made answers to questions posed directly by clients. He has a degree in modern languages from the University of Bath. Outside the realm of work, Ian plays guitar in a traditional music group and also enjoys a touch of cycling and gardening. He lives by the seaside about three miles from the centre of Edinburgh. While big data has a place in drug regulation, it is important to avoid putting too much emphasis on its use in the post-authorization phase, say French medical journal editors in response to the report on big data from EU agency heads and the EMA. Cambodia’s regulatory framework needs an overhaul, according to the World Health Organization, which has issued a tender for interested parties to review the current situation and produce draft legislation that meets current international norms. Cambodia’s drug regulatory framework needs an overhaul, according to the World Health Organization, which has issued a tender for interested parties to review the current situation and produce draft legislation that meets current international norms. Regulators should take more of a role in decisions on biosimilar switching and substitution, and international interchangeability practices should be brought into line, delegates at Medicines for Europe’s recent biosimilars conference heard.